Frank Killebrew is originally from Baker County, Georgia. He completed the EMT Program at Bainbridge College in 1993. In 1997 Frank earned his Paramedic Certificate from Darton College in Albany, Georgia. Frank has worked in a variety of EMS settings including rural, urban, critical care and even aboard offshore oil platforms. He received his Level II EMS Instructor License from the Georgia State Office of EMS & Trauma in 2008. Frank taught as an adjunct instructor at Bainbridge College prior to coming to Ogeechee Technical College in 2012. Since arriving at Ogeechee Technical College, Frank has continued work towards a Bachelor’s degree in Health Education at Ashford University while also earning a Level III EMS Instructor License from the Georgia State Office of EMS & Trauma in 2013. Heather Reddick is from Brooklet, Georgia. She completed the EMT-Intermediate program at Ogeechee Technical College in 2010 and began working as an EMT-I at Screven County EMS in 2011. She went on to attain her Paramedic Certificate through Rescue Training Inc. in 2012. At Screven County EMS, She worked as a Lieutenant-Paramedic and managed Continued Quality Improvement. In 2017, she earned her Level III Instructor license, and she joined OTC as a full-time faculty in January 2018. Heather resides in Screven County with her husband, Cody, and their two daughters, Bristol and Baylee. 1. Program students will demonstrate competency in basic and advanced emergency medical equipment. 2. Program graduates will be employable and will meet the needs of the community. 3. Program students will possess knowledge necessary to provide patient care and transport. 4. Program students will possess the skills necessary for critical thinking and problem solving in the emergency medicine career. The Paramedic diploma program did not have a graduating cohort for 2017 and therefore does not have program outcomes to report for calendar year 2017. 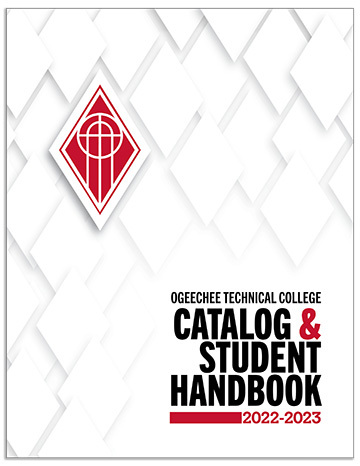 The Ogeechee Technical College Paramedic program has been issued a Letter of Review by the Committee on Accreditation of Educational Programs for the Emergency Medical Services Professions (CoAEMSP Executive Office). This letter is NOT a CAAHEP accreditation status; it is a status signifying that a program seeking initial accreditation has demonstrated sufficient compliance with the accreditation Standards through the Letter of Review Self Study Report (LSSR) and other documentation. Letter of Review is recognized by the National Registry of Emergency Medical Technicians (NREMT) for eligibility to take the NREMT’s Paramedic credentialing examination(s); however it is not a guarantee of eventual accreditation. 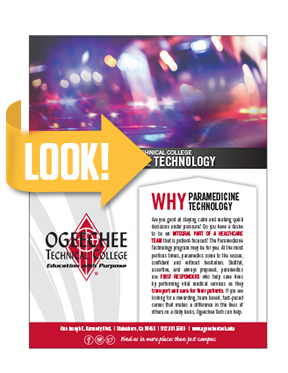 The purpose of the Ogeechee Technical College Paramedicine Technology program is to prepare competent entry-level graduates at all prehospital care provider levels in order to assist meeting the health care needs of the community. The program provides classroom, laboratory, and clinical training to adequately ensure graduates are prepared in the cognitive, psychomotor and affective domains as entry-level providers.